Nineteen suicides have occurred on VA campuses from October 2017 to November 2018 ― seven of them in parking lots, according to data the Washington Post obtained from the Department of Veterans Affairs. Some are worried that this is a gruesome form of protest by veterans to highlight how little help they were given in their time of need by the VA system. On Thursday, the Post published an investigation into this phenomenon featuring both big-picture concerns about mental-health services offered by the Department of Veterans Affairs and stories about veterans who took their lives after attempting to get treatment from their local VA hospitals. The Post investigation focused on a few specific cases, including the February 2018 suicide of 33-year-old Marine Corps veteran Justin Miller in the Minneapolis VA hospital’s parking lot, as well as 32-year-old former Army Sgt. John Toombs, who hung himself on the grounds of a VA medical center in Murfreesboro, Tennessee, just before Thanksgiving 2016. Both men entered the separate VA facilities seeking assistance for post-traumatic stress disorder stemming from their time in the military, among other issues. Miller killed himself after four days in the Minneapolis VA’s mental-health unit, and Toombs did the same after being kicked out of his treatment program for not following its instructions, including being 20 minutes late to pick up his medications. There were more than 6,000 reported veteran suicides every year from 2008-16, according to the 2005-16 VA National Suicide Data Report. The same report indicated that as of 2016, the suicide rate for veterans was 1.5 times higher than for non-veteran adults. In January 2018, President Donald Trump signed an executive order to give all veterans access to mental-health services for the entire first year of their new civilian lives. The VA told the Washington Post that it prevented 233 suicide attempts in that October 2017-November 2018 window, which mainly involved VA staff stopping veterans from hurting themselves on their campuses. 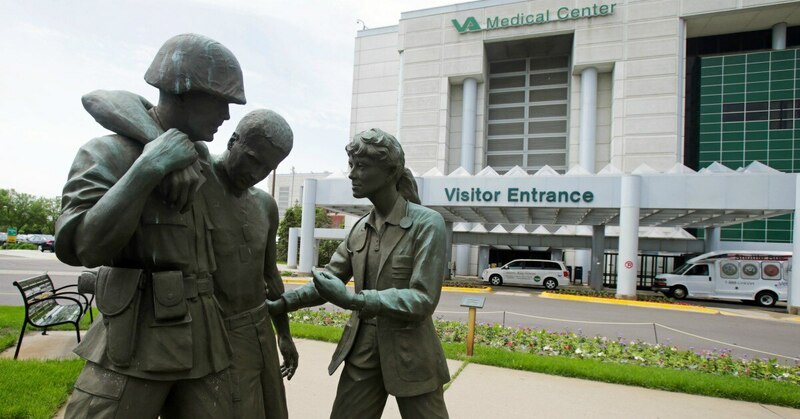 The quality of care at individual VA facilities fluctuates wildly, as demonstrated by the Department of Veteran Affairs’ 2016 Quality of Care report that ranks each hospital in various categories. The one that Toombs entered in Murfreesboro happened to be one of the lowest-ranked in the entire VA system for its mental-health care. Miller’s suicide invoked an official inquiry into the failings of the Minneapolis VA system that may have led to his death. The VA Office of the Inspector General determined that the facility staff who evaluated Miller did not schedule any follow-up appointments, communicate with his family about his treatment plan and, most crucially, properly assess his access to firearms.